We have all the accessories you need. Shoes, shirts, including French Cuffs, Cufflinks, Ties and Pocket Squares. Download your "10 Tips to Business Casual Dressing" to create your new look now! 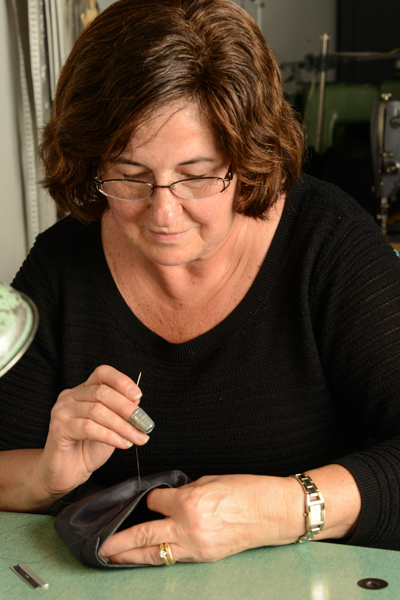 There's a difference between getting your clothing altered or tailored right here, or sent away. Our experts know your size before you even tell them. They can also coordinate outfits for you for any occasion if you'd like. 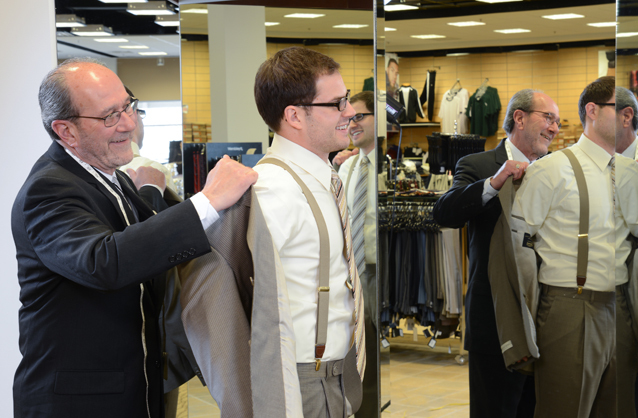 We promise that shopping at Charney's will be the quickest, easiest shopping experience you've ever had. Our job is to make you look great. No need to search all over from store to store, or go from mall to mall. Park right in front of our store and make your shopping quick and easy. 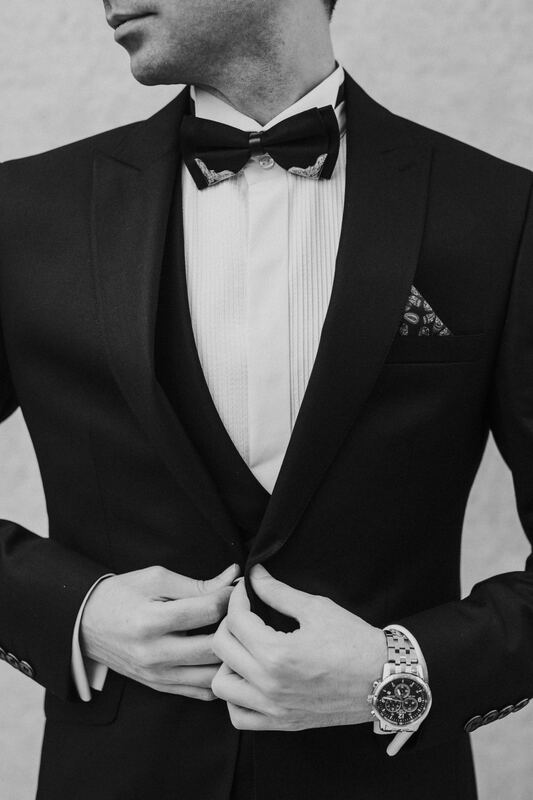 With so many wedding details, the last thing you need is to worry about the Tuxedo Rentals coming in or not fitting. Go to the experts at Charney's Men's Clothing & Tuxedo Rentals for your wedding party. Call Robert for your appointment today at 315-463-6011. Check out our sizes by clicking here! 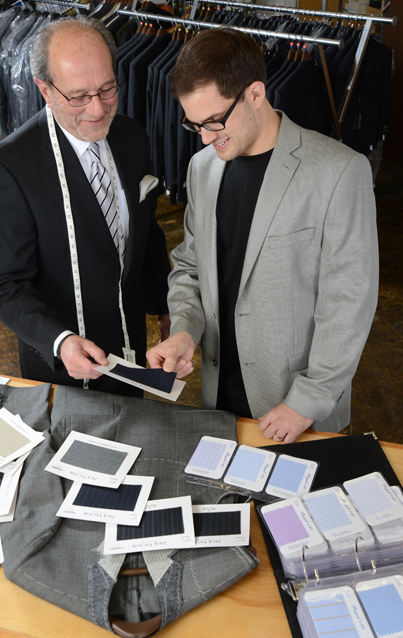 Buy him a gift certificate for Charney's custom clothing! See our Custom Page for Details! Follow Me for Sale Information!